The New Zealand gamer planned to kidnap the Virginia teen. Because there’s nothing more intimidating than a mother with a loaded gun protecting her children, here is the story of Troy George Skinner and how he ended up with a slug in his neck. After traveling halfway across the world to confront his ‘beloved,’ the 25-year-old New Zealand gamer will likely end up in federal prison. On the 22nd of June, Goochland County sheriff’s deputies were called to a house by a teen’s mother who shot a man. The individual had to be taken to the hospital because he sustained a gunshot wound to the neck. The story of how the individual ended up with a slug in his neck in Virginia, begin several months ago. An avid gamer, Skinner, spent most of his time meeting people who shared his passion. That’s how he got in contact with a 14-year-old girl from Virginia. 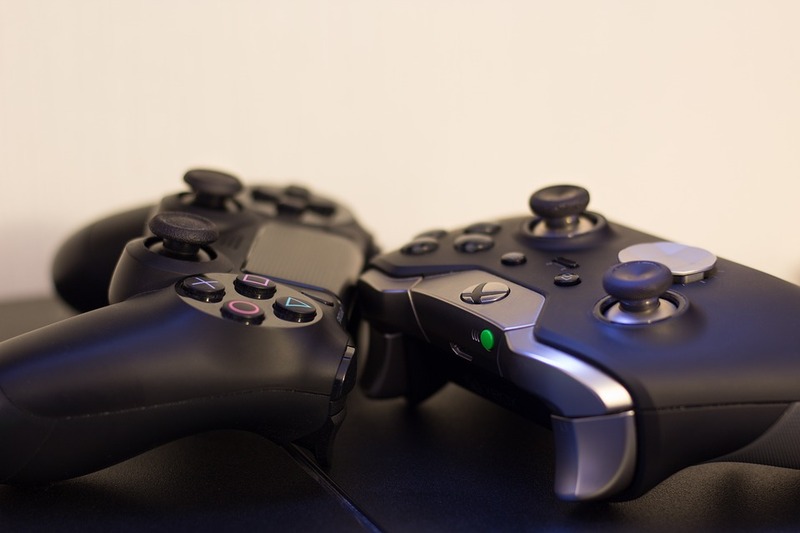 For several months, the two of them chatted and played their favorite games together. However, at the beginning of June, the girl told Skinner that she doesn’t want to talk to him anymore. Of course, enraged by the fact that the girl blocked him on Discord, the man traveled from New Zealand all the way to the United States to confront the teenage girl. Before meeting the unnamed teen, the New Zealand gamer went to Walmart. From there he purchased a roll of duct tape, a can of pepper spray, and a hunting knife. On the day of the attack, Skinner knocked on the front door and asked for help. The girl’s mother refused to open the door and told him to leave. Not even her saying that she’s got a loaded gun didn’t convince him. After checking the basement door, Skinner used a brick to smash a front door window. The woman shot him twice, hitting him in the neck. The doctors say that he’ll probably leave. A London model narrowly escaped what could have been a never-ending life of domestic violence by snapping a picture of her injuries and sending them to a friend. The aggressor was taken into custody and sentenced to four years in prison. Martha Dolak is a 31-year-old social media model from the United Kingdom. An outspoken activist against domestic violence, Dolak recently shared her unfortunate tale. Eighteen months ago, the London model got involved with 30-year-old Michael Goodwin, a Londoner like her and father of two. According to the London model, her misfortune began after Michael got ahold of her phone and read the message. In a Facebook post, Dolak wrote that Michael turned pale while he read the text message. Convinced that the man might turn to violence, Dolak packed her bags and attempted to leave the apartment. However, Goodwin locked all the doors and windows. Dolak said she had to spend the next 21 hours locked inside Goodwin’s apartment. When Goodwin returned, Dolak tried to run away but never made it to the door. As the woman wrote, Michael punched her in the head so hard, that she lost consciousness. She remembers waking up in the bedroom, face covered in blood. In a desperate attempt to escape Michael, Dolak snapped a picture of her swollen face and sent it to a friend who, in turn, called the authorities. Michael was arrested shortly after that. The London model was taken to the hospital where the doctors determined that she had a skull fracture and brain hemorrhage. Unfortunately, the blow to the head permanently damaged her optical nerve. 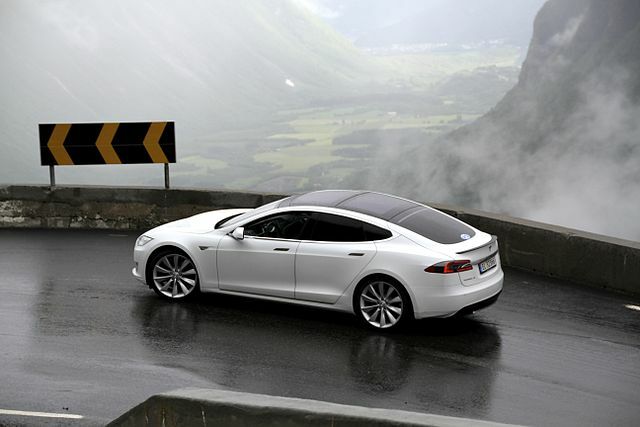 Englishman recorded on tape after leaving his Tesla S unattended on a busy motorway. The British authorities recently fined and sentenced a 39-year-old Nottingham driver to community work after the man was caught on tape leaving the steering wheel unattended. Based on the police report, the Englishman’s Tesla S car was speeding down a busy highway with the autopilot switched on. On the 20th of April, Bhavesh Patel, a 39-year-old Tesla owner from Nottingham was sentenced to perform 100 hours of community work and pay a $2,100 fine after he pleaded guilty to one charge of dangerous driving. According to the police report, back in May 2017, Patel was driving along the M1 highway, when he decided to test his car’s autopilot feature. While Tesla engineers declared that the car’s built-in Traffic-Aware Cruise Control might aid the driver in some situations, the feature should not be taken for granted. More than that, Tesla’s representatives stated that the driver should stay alert and ready to intervene even if the car’s autopilot is switched on. However, Patel was not one to abide by the car’s manual. While trying to get in front of Patel’s car, an eyewitness saw the man seated on the passenger’s side with his hands behind his head while the vehicle moved forward. Of course, the video was later uploaded to social media. Unfortunately for Patel, the movie was also viewed by the Hertfordshire Police. The man was taken into custody and charged with dangerous driving. Apart from having to do a little community work and pay the fine, the Nottingham resident also had his driver’s license suspended for the next 18 months. Before sentencing Patel, the judge declared that the driver’s recklessness could have ended in tragedy as the M1 highway is a busy motorway. The Doomsday Clock is now two minutes to midnight. 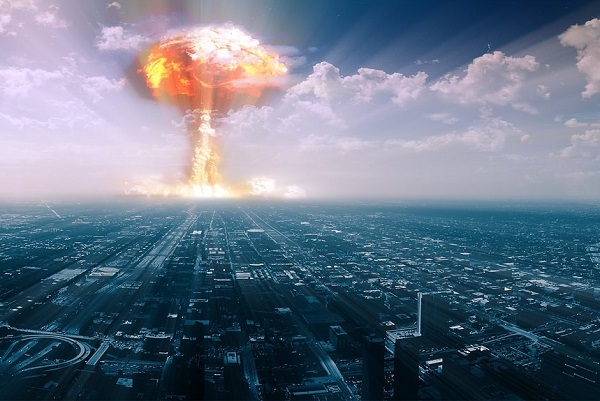 World annihilation is just two minutes away, according to the symbolic Doomsday Clock. A panel of scientists moved the hands of the clock 30 seconds closer to midnight, the metaphoric hour of nuclear apocalypse. The move was prompted by President Trump’s stance on nuclear weapons as well as his rhetoric regarding climate change. “We are very concerned with the unpredictability of the United States and how it’s thinking of its nuclear weapons,” said Rachel Bronson, the president and CEO of the Bulletin of Atomic Scientists. The Bulletin was founded by researchers who helped develop the first nuclear weapons during the Manhattan Project. According to theoretical physicist Lawrence Krauss and founding director of the Energy Policy Institute at the University of Chicago, Robert Rosner, the world remains as volatile as it has been since World War II. More so, the two scientists claim that the Doomsday Clock “is as close to midnight today as it was in 1953” when the Cold War reached its peak. In 1953, President Harry Truman announced the US had built a hydrogen bomb. Bronson noted how nuclear weapons were the main talking point of this year, specifically North Korea’s nuclear weapons program as well as other “huge nuclear investments” made by Russia, China, Pakistan and India. The Bulletin also warned that increasing temperatures require urgent action now. They urge country officials from around the world to cut down on greenhouse gas emissions to prevent further damage to the planet. The Doomsday Clock started “ticking” at the start of the Cold War in 1945, and has become a global symbol for the world’s vulnerability to destruction from nuclear weapons, climate change, and dangerous technologies. However, Bronson still believes there is hope for the planet if these issues are tackled in a timely manner by the world’s governments. An Indian father filled a lawsuit that looks to ban junk food, fast food, and soft drinks in schools. Fast food and junk food are big problems nowadays as both adults and children are overweight or obese. This latter is linked to other health problems that could even lead to death. As it is, in India, a father decided to make a difference. Junk Food to Get Banned from Schools? Rahul Verma has a son who was born with digestive problems. This is why he visited the endocrinologist office very often. In doing so, he noticed that doctors are facing a great problem: dealing with obesity and diabetes in teenagers and children. Junk food is considered one if not the primary risk factor for these issues. The bigger problem here is that Indians are more likely to develop diabetes compared to other people around the world, according to reports. People living in India need to be more careful with their diet and try to exclude junk food. While adults might be able to control themselves better, kids are more likely to choose fast food. One day, while he was waiting at the doctor, the Indian father decided that he needed to do something about this. Verma mentioned that there are children born with illnesses which have a hard time all their lives and there are healthy ones who become ill due to specific factors, including inappropriate food choices. The man decided to draft a petition to stop junk food from being sold in schools and near them. This way, he believes, it would be easier for parents to control what their children eat. In 2010, he filed a lawsuit at the Delhi High Court. Verma wants to ban all junk food, fast food, and soft drinks around and in all schools in India. Reports show that the rate of children and adults in India who are obese or overweight has increased to 18.8% compared to 6.4% in 1990. 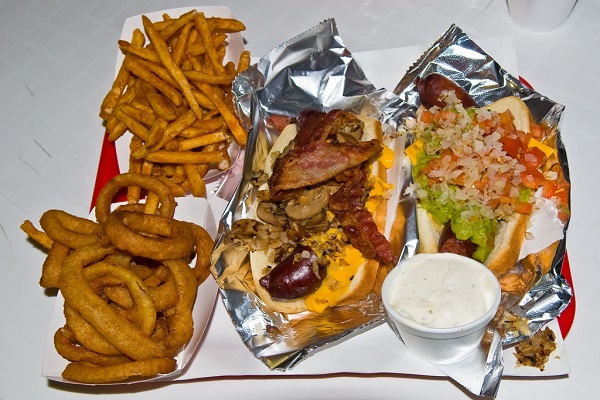 Some believe that junk food is not the problem and they instead place the blame on overeating. Experts mentioned that this might be caused by some of the ingredients they contain. The White House released on Monday a report in which they state that North Korea is trying to upgrade its intercontinental ballistic missiles with biological weapons. “North Korea- a country that starves its own people-has spent hundreds of millions of dollars on nuclear, chemical, and biological weapons that could threaten our homeland,” the document said. This announcement seems to echo a similar claim from a South Korean intelligence source claiming that Pyongyang has tested loading anthrax onto its ICBMs. 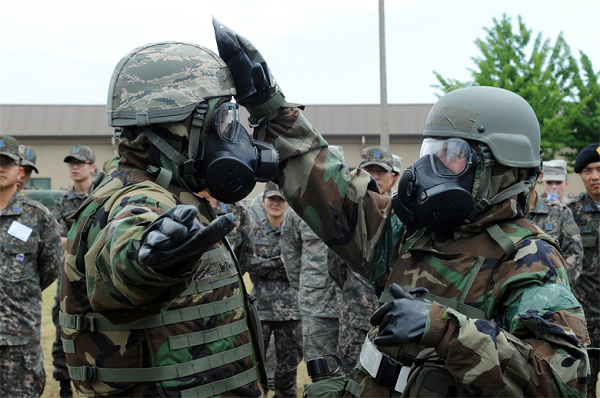 Both South Korea and the U.S. have carried out joint military drills within a biological attack scenario. In addition, a Japanese newspaper states that U.S. troop stationed in South Korea have been vaccinated against anthrax for more than ten years. The same newspaper claims that North Korea is currently conducting heat and pressure tests to see if the anthrax bacteria can survive the potential journey overseas. More so, Pyongyang has focused on making the anthrax bacteria resistant to re-entry into the Earth’s atmosphere, as the heat that would arise from the missile’s speed and altitude would be over 7 thousand degrees Celsius. According to the report, North Korea has focused on adding biological weapons to its arsenal mainly because the nation is not yet confident that they have a nuclear warhead that could reach American soil. Missile expert, Vipin Narang, has dismissed North Korea’s newest addition expressing skepticism about the bacteria surviving re-entry into the atmosphere. As for North Korea’s version of the events, the nation has vehemently denied the White House report claiming that America has been trying to stir up a conflict ever since Donald Trump was elected president. President Trump and North Korean dictator Kim Jong Un have been at odds both on the global stage as well as on social media, at least from Trump’s part. While Trump has antagonized the dictator calling him a “little rocket man”, Kim Jong Un has recently called the president a “coward” and sentenced him to death. Oscar Pistorius’ sentence is now at 13 years and 5 months. On Friday, South Africa’s Supreme Court of Appeal doubled the sentence of South African sprint runner and convicted murderer, Oscar Pistorius. The Olympic athlete is now sentenced to thirteen years and five months in prison. The former Olympic and Paralympic athlete killed Steenkamp at his home on Valentine’s Day in 2013. Pistorius shot Steenkamp four times through a closed toilet cubicle door with his 9 mm pistol. He alleged the act to have been an accident after he mistook her for an intruder. However, the prosecution called it a deliberate act after the two had an argument. Pistorius was sentenced in 2015 to six years in prison following the murder of his girlfriend, Reeva Steenkamp. While originally convicted of manslaughter in 2014, his conviction was overturned and changed to murder. The minimum sentence for murder in South Africa is 15 years. However, this can be lowered by individual judges if they are presented with compelling reasons to do so. The Supreme Court called the initial sentence “shockingly lenient” as it would have granted Pistorius parole in mid-2019. “the sentence of six years’ imprisonment is shockingly lenient to a point where it has the effect of trivializing this serious offense.” Reads the Supreme Court’s ruling. Under the new sentence, the double-amputee runner will be eligible for parole in 2023. 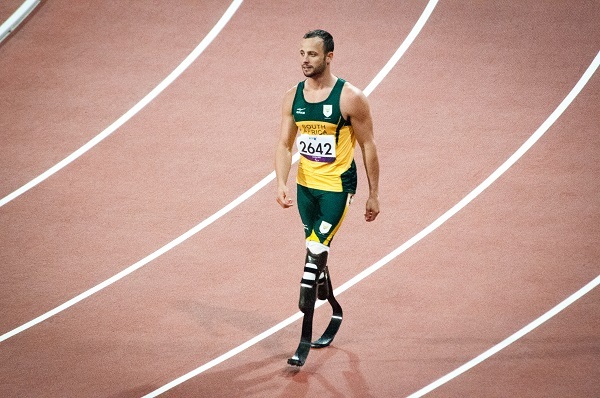 Pistorius was a multiple Paralympic champion and the first amputee athlete to run at the Olympics. He was nicknamed as the “Blade Runner” due to his carbon-fiber prosthetic legs. Supreme Court Justice, Willie Seriti, noted Pistorius’ failure to convince him and his peers saying that the athlete “does not appreciate the gravity of his actions”. Armando Ianucci’s movie The Death of Stalin was regarded by many as the film of the year, attracting a lot of positive reviews and causing great entertainment among the western audience. However, it didn’t have the same effect in Russia. People were afraid to reopen a heated debate on the role Stalin played in the Russian society, so nobody found the film half as amusing. The Death of Stalin documents the political situation of Russia soon after the death of the communist leader in 1953. Steve Buscemi plays the main character, Nikita Khrushchev, who was the successor of Stalin, while another important role is embodied by Simon Russell-Beale. This other character is no other than the cruel chief of secret police, Lavrentiy Beria. Despite the dark tone of the character and the entire movie, Beria is often made fun of, contributing to the entire comedic twist of the production. This is precisely what made the movie so highly acclaimed among the western critics and watchers. However, the Russians found nothing entertaining in the movie. In fact, it might have threatened to reopen a spicy problem in the Russian society, especially with this year’s celebration of 100 years since the Bolshevik Revolution. Nikolai Starikov, a Russian history writer and party leader, didn’t have any kind words to say about the movie. Starikov leads a nationalist party, and is a great supporter of Stalin. 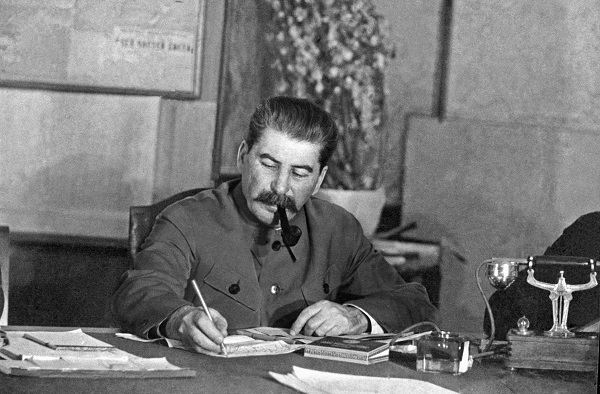 He wrote many books on the history of Russia, and most of them presented Stalin as a great leader of the people. The man regarded this movie as offensive, and a hostile act coming from the former allies of Stalin. As a result, The Death of Stalin hasn’t yet received a license to be displayed across Russia. A representative of the country’s Ministry of Culture said she couldn’t tell if the movie would be banned, but a future screening might lead to unwanted reactions from the nationalists. Last week, seven Egyptian people decided to raise some rainbow flags during a concert in Cairo. This turned out to be a bad decision, as the police decided to detain them for promoting ‘unnatural’ sexual behaviors. These people are currently under arrest, but they haven’t received an official accusation yet. The Egyptian police came into the possession of some images taken during the concert of Mashrou’ Leila. The band’s singer, who is coming from Lebanon, is really open about his sexuality, and does not refrain from admitting he’s gay. Therefore, some fans decided to support him, and wave several rainbow flags during their concert in Cairo. However, Egypt is not the right place to promote homosexuality. 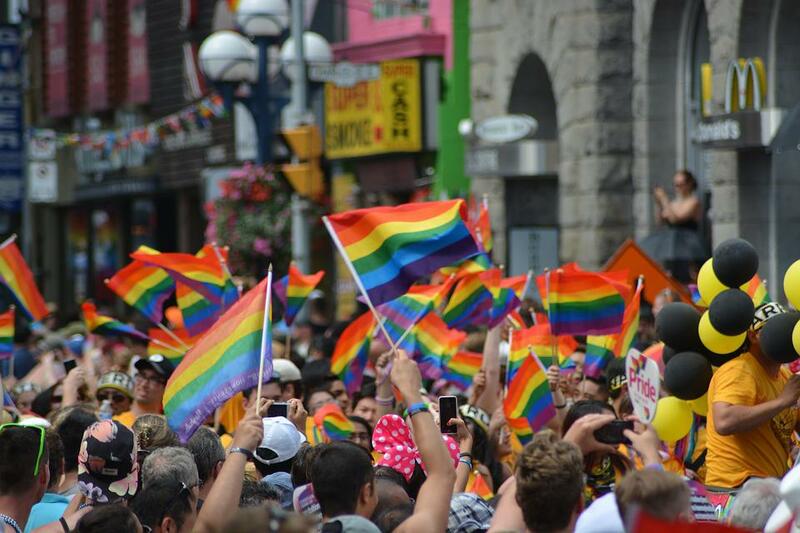 Although it is not strictly forbidden by law, gay people often avoid being open about their sexual orientation. If the police suspect some people of engaging on this kind of sexual relationships, they don’t hesitate to accuse them of immoral behavior or blasphemy, and arrest them. Therefore, in a conservative regime like the one in Egypt, waving a few rainbow flags is a rare instance of support for the LGBT communities. Unfortunately, it is also an act which attracts attention and, automatically, police intervention. The rainbow flag images ended up on social media, where they reached the eyes of several politicians. This led to them openly blaming them, and report the act to the authorities. Now, apart from arresting the people responsible with waving the rainbow flags, they want to ban the band from ever playing in Egypt again. On the other side of the conflict, the LGBT supporters blame the attitude of the authorities. Although they saw this act as a direct attack on the country’s traditions, the feminist writer Mona Eltahawy finds it a bit extreme to arrest someone for waving rainbow flags. Also, arresting people for having a certain sexual orientation is a bit extreme.